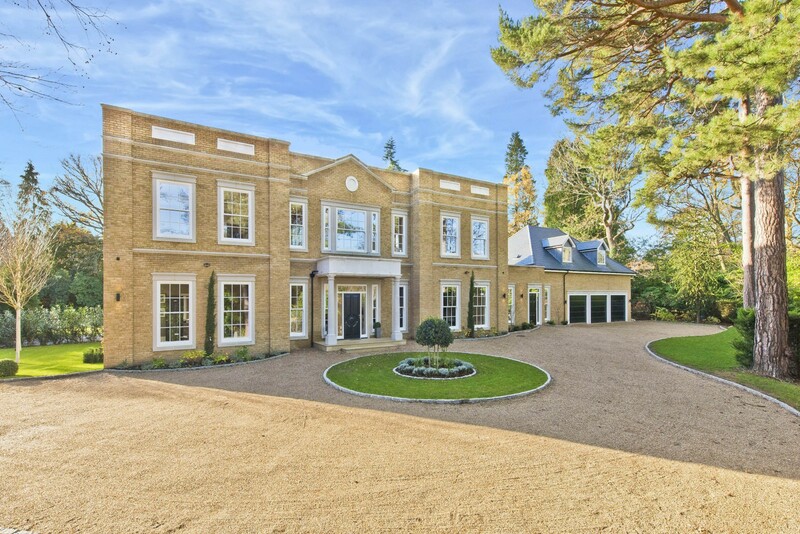 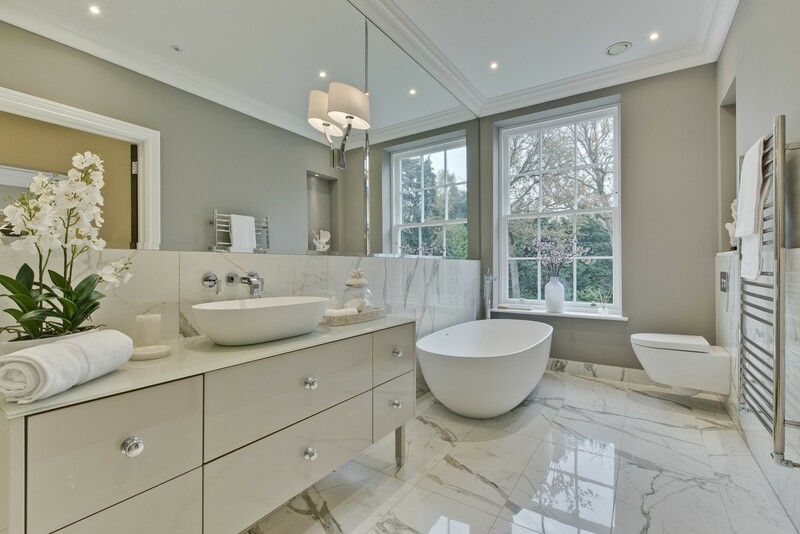 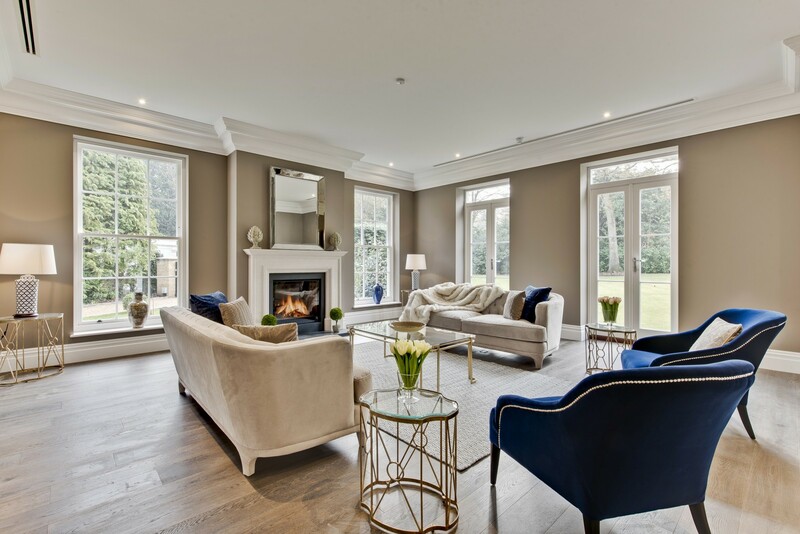 A stunning super home located within the prestigious St George's Hill private estate. 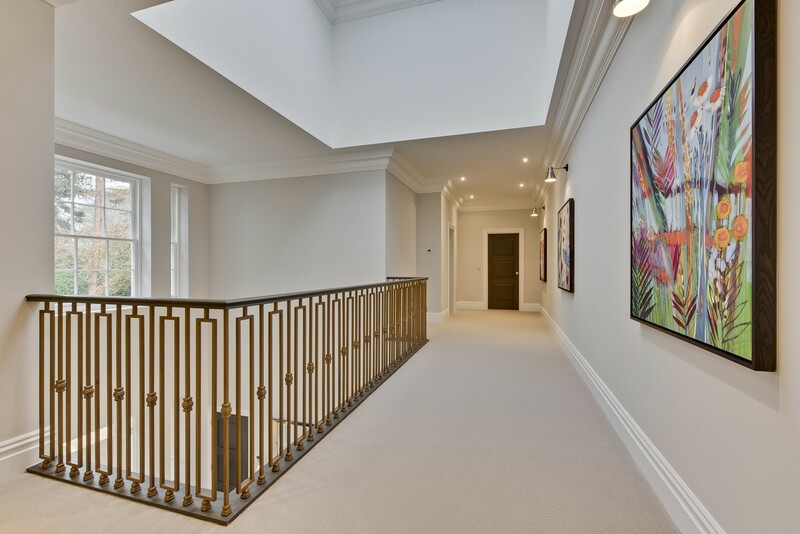 Designed and built to an exceptional standard. 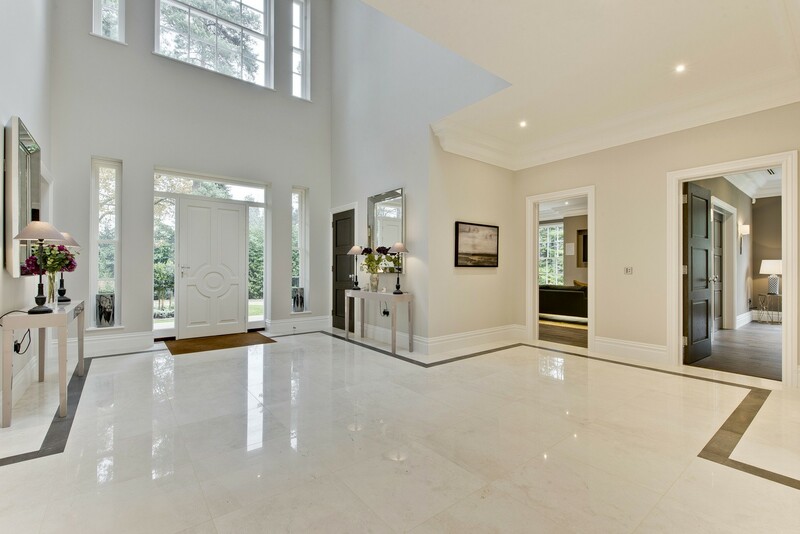 The front door opens into a striking double height entrance hall with lantern above creating an impressive welcome to this family home, flooding the space with natural light. 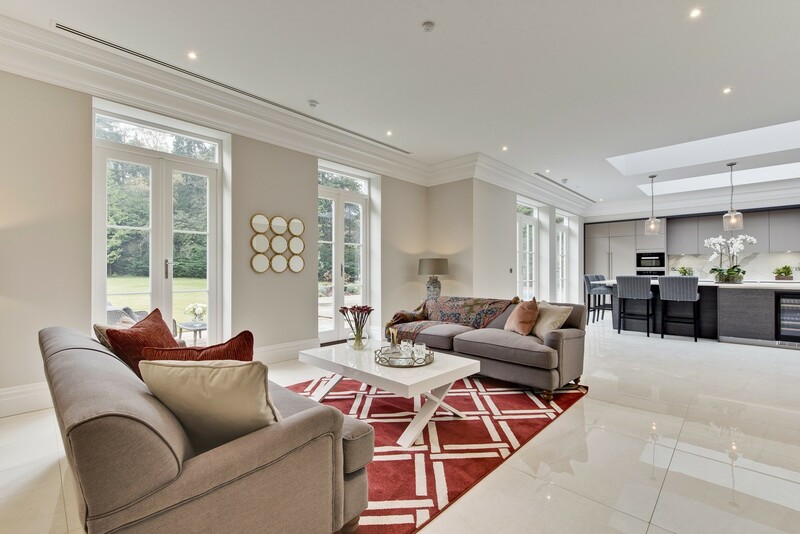 This new build mansion incorporates the latest in modern technology including air conditioning in the principle rooms, zoned Nu-Heat under floor heating throughout, intelligent iLighting system providing tailored zonal light settings, great ceiling heights with beautifully crafted moulding and skirting boards all in proportion with elegant tall doors. 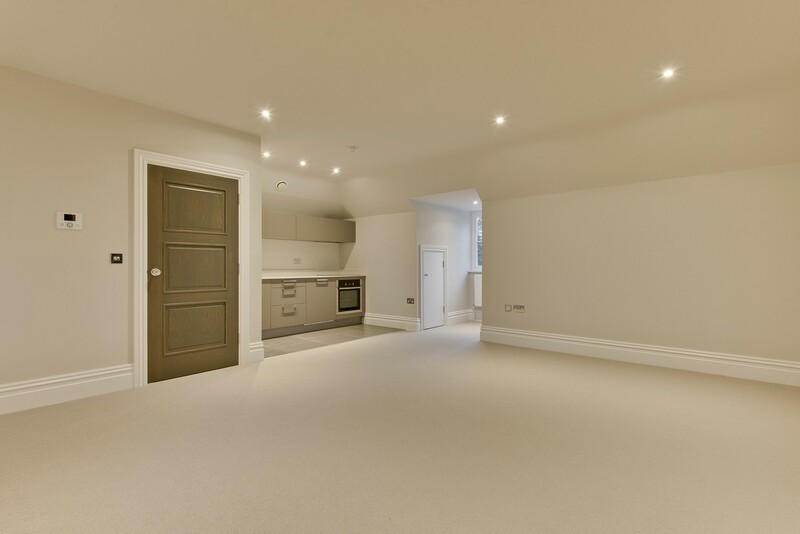 The entrance leads to an open plan dining room which gives access to the rear gardens, a great welcoming entertaining space. 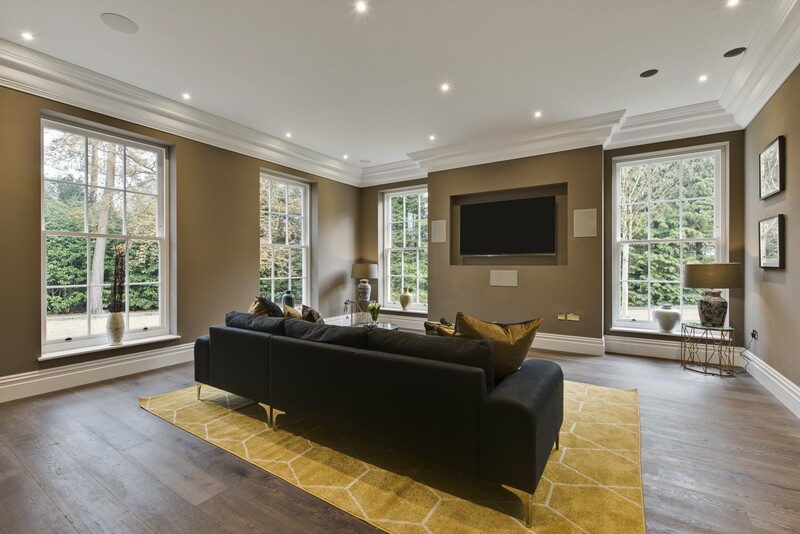 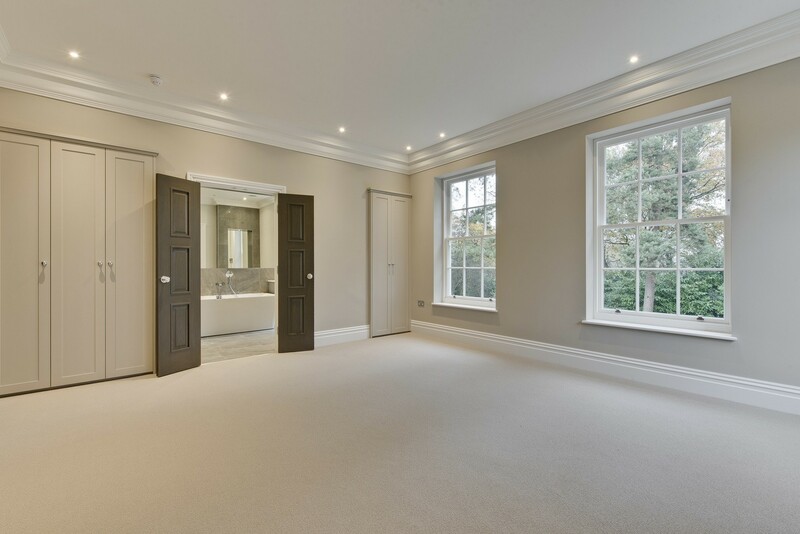 At ground floor level there are four further reception rooms, that include a double aspect family room, this leads nicely through to the elegant double aspect drawing room with access out to the garden. 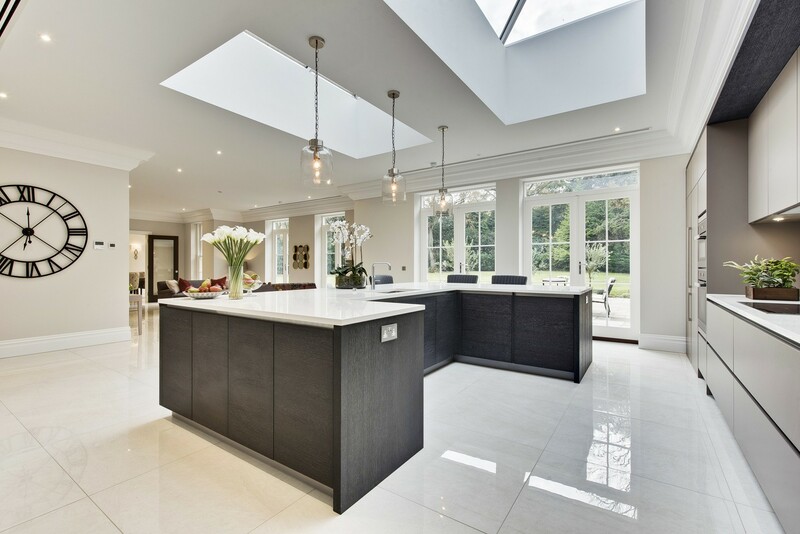 The kitchen/day room fitted by Extreme Kitchens is a stylish space yet functional with state of the art Miele appliances. 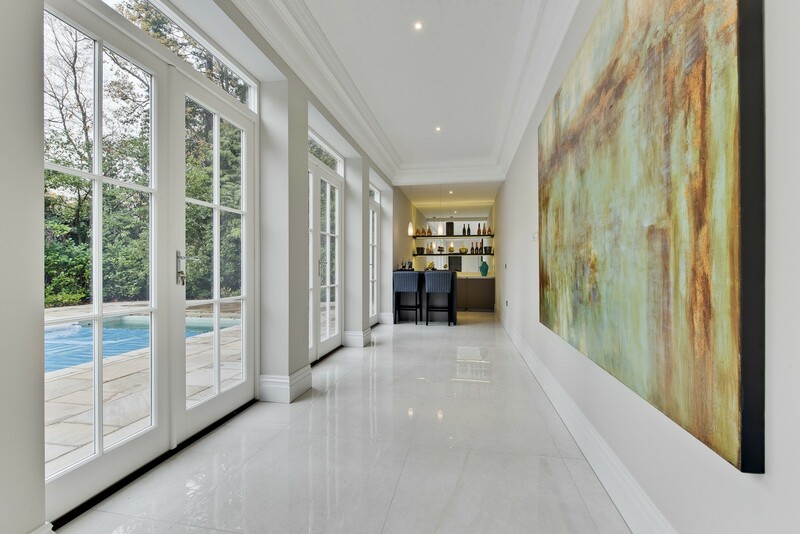 Four sets of double doors here give access to the lawned garden incorporating the swimming pool. 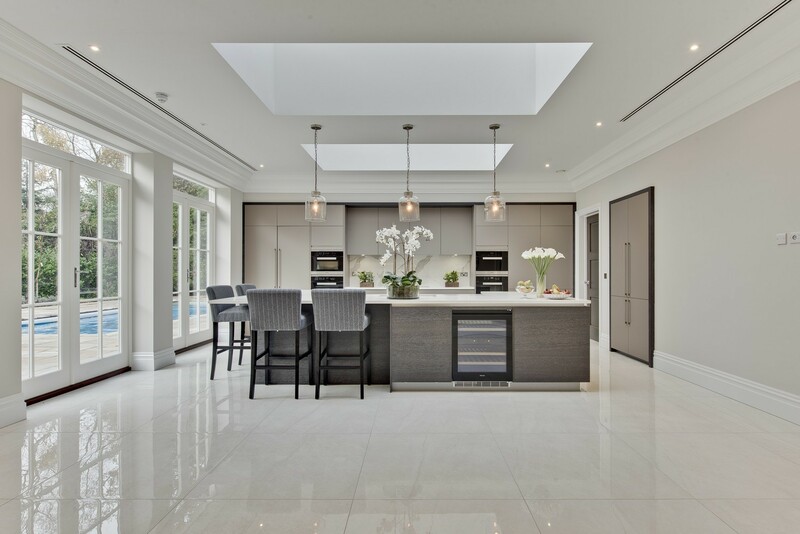 The kitchen leads through to a fabulous room with a bar area and separate shower room, this space opens out to the pool and gardens, this is the perfect place to entertain your friends and family. 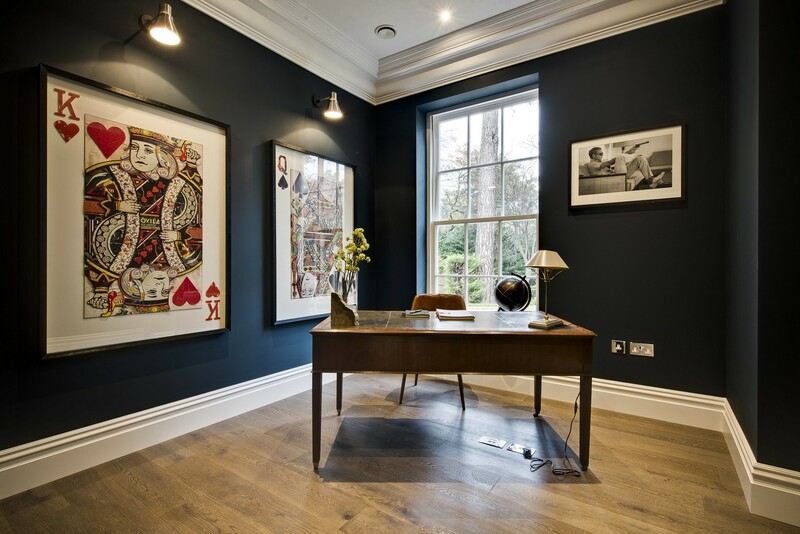 In addition there is a playroom, study, prep kitchen and guest cloakroom. 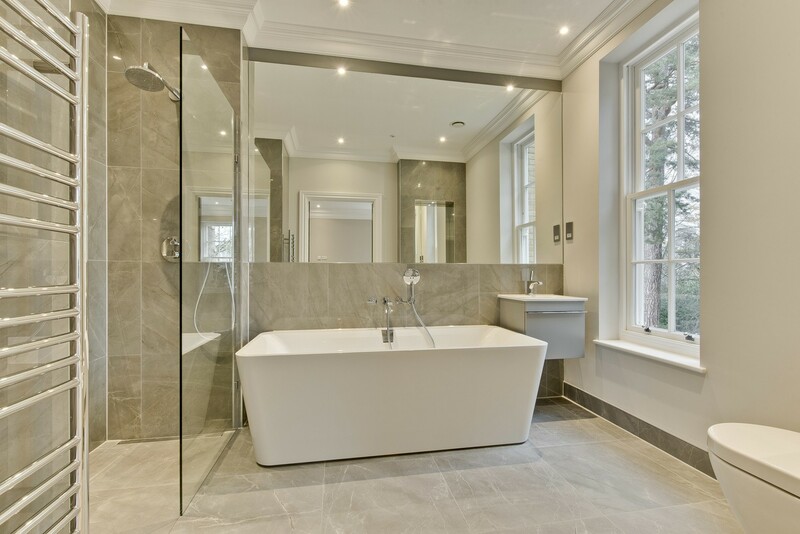 The first floor comprises five bedroom suites, and includes a grand master bedroom suite with bespoke fitted his and hers dressing rooms and en suites complete with a balcony overlooking the garden. 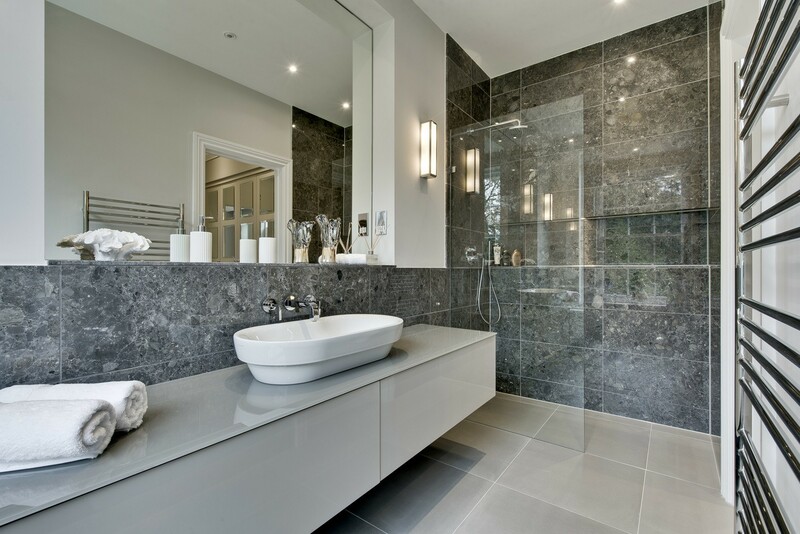 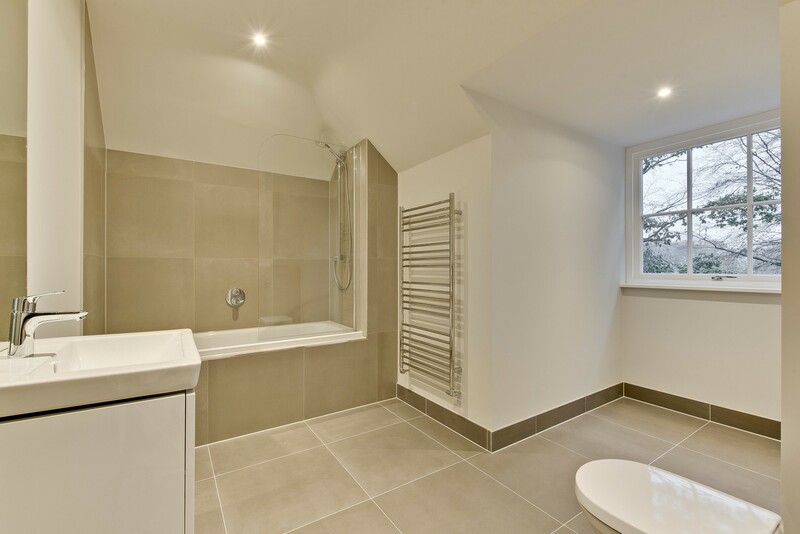 Each bedroom and bathroom include high end fixtures and fittings. 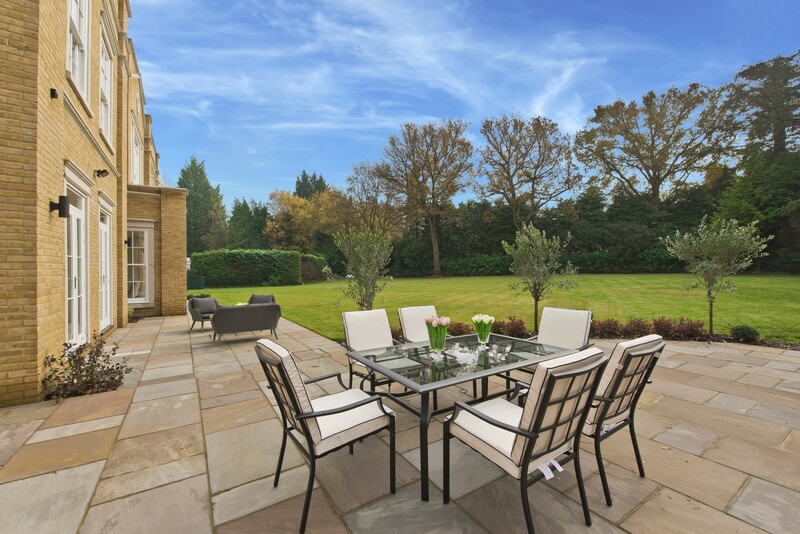 There is a self contained annexe with its own entrance and links to the main house.